Interested applicants can apply for TNTET Application form 2014 by purchasing the TNTET Application form 2014 at the authorized center or can also apply online and status of the application form can be checked by the candidates through the official website. If any applicants have any doubt, then they must follow official website or can write their quarries in the comment box below and we will answer it as soon as possible. 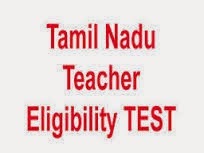 TNTET GENERAL ENGLISH PAPER-II- STUDY MATERIALS VI Std BY Archanakumar in Dharmapuri. TNTET PAPER I PSYCHOLOGY MATERIALS UNIT I AND II BY Archanakumar in Dharmapuri. TNTET PAPER I EVS STUDY MATERIALS 3RD STANDARD EVS BY Archanakumar in Dharmapuri. TNTET PAPER I EVS STUDY MATERIALS PART II BY Archanakumar in Dharmapuri. TNTET PAPER I EVS STUDY MATERIALS BY Archanakumar in Dharmapuri. TNTET GENERAL TAMIL PAPER-II-STUDY MATERIALS BY Archanakumar in Dharmapuri.